Bali Padyami is the day when King Bali rules the world with blessings of Lord Vishnu. Bali Padyami 2019 date is October 28. It is observed on the first day of the Kartik Masa in the traditional calendar followed in Maharashtra, Karnataka, Telangana and Andhra Pradesh. On the day people remember King Bali and pray for the return of prosperity that existed during his rule. Exchanging gifts on this day is a major highlight. Bali Padyami is the half muhurta among the three and a half auspicious muhurat in a year. One need not look for auspicious time on the day. There is a popular belief that whatever is gifted on the day will be returned manifold with the blessings of Lord Vishnu. Legend has it that King Bali attained immense popularity due to his good governance. He attained near invincibility with the help of his Guru Shukracharya. As a result, Indra soon lost heaven to Bali. And Balindra got the coveted title of Chakravarthi – emperor. Bali decided to conduct Ashvamedha Yajna, to show his strength. Indra sought the help of Lord Vishnu to regain his lost heaven. Lord Vishnu attended the Yajna, as Vamana, a dwarf. 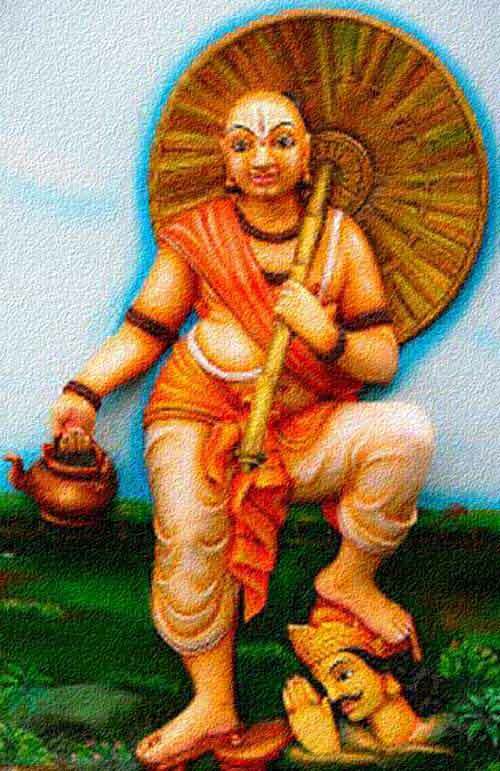 Vamana asked for three steps of land and it was immediately granted by King Bali. Soon, the short Vamana grew in size – so huge that it was impossible to describe in words. With his first step, Vamana covered all of Earth. His second step covered all of the Sky. There was no place for the third step and King Bali offered his head. Vamana sent Bali to Patala Loka or Underworld. King Bali was a popular and great ruler; therefore he was made the emperor of underworld by Vamana. He was also given the boon that he will be allowed to rule the entire universe for one day, which is the Bali Padyami day. The same legend is the reason for observing Onam Festival (August - September) in Kerala.